Zhang Ziyi (Chinese: 章子怡; born 9 February 1979) is a Chinese actress and model. She is considered one of the Four Dan Actresses of China, and one of the most well-known Asian actress in the West. Her first major role was in The Road Home (1999). She later achieved fame for her role in Crouching Tiger, Hidden Dragon (2000). 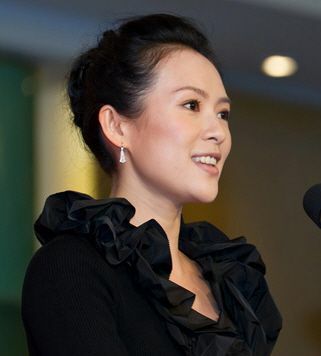 Zhang is known for being a "Yimou Girl", as she frequently collaborated with director Zhang Yimou. Read more on Wikipedia.